Is there anything extra needed when ordering this, like bushings etc. ? This comes ready to fit and use, with all the parts required. Is there a recommended max weight of rider ( backpack)? Incl backpack I'm around 113 kg currently using steel seat post Brompton. Brompton have a max rider weight of 110kg, the Jtek post max rider weight is 100kg. What is the weight saving of this seatpost, when compared with the standard length Brompton original fit seatpost please? The weight saving is 214 grams. Is this seatpost made in the UK? 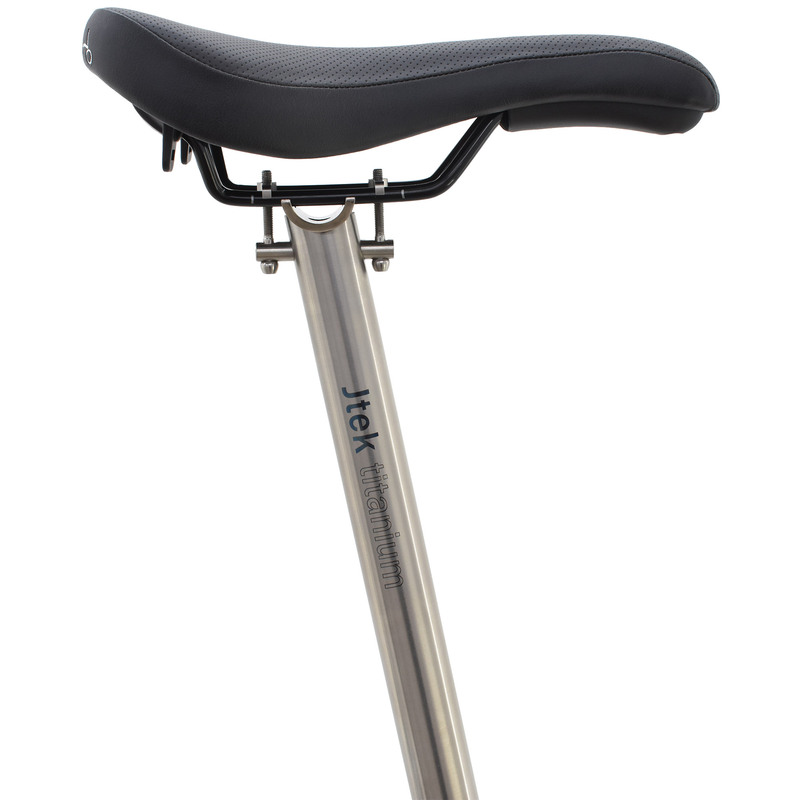 The seat post is not made in the UK, Jtek are a UK based company though. Is this suitable for a saddle with carbon rails? It's hard to see how narrow the clamps are - do you think this would be suitable for a saddle with carbon rails? We do not recommend this clamp style with carbon rails. Is this grade 5 or 9? These seat posts are made from 3Al-2.5V seamless titanium tubing. Is this seat post flexi (in a good way) like most Ti ones are? or stiff like Alu/Steel? Thanks!